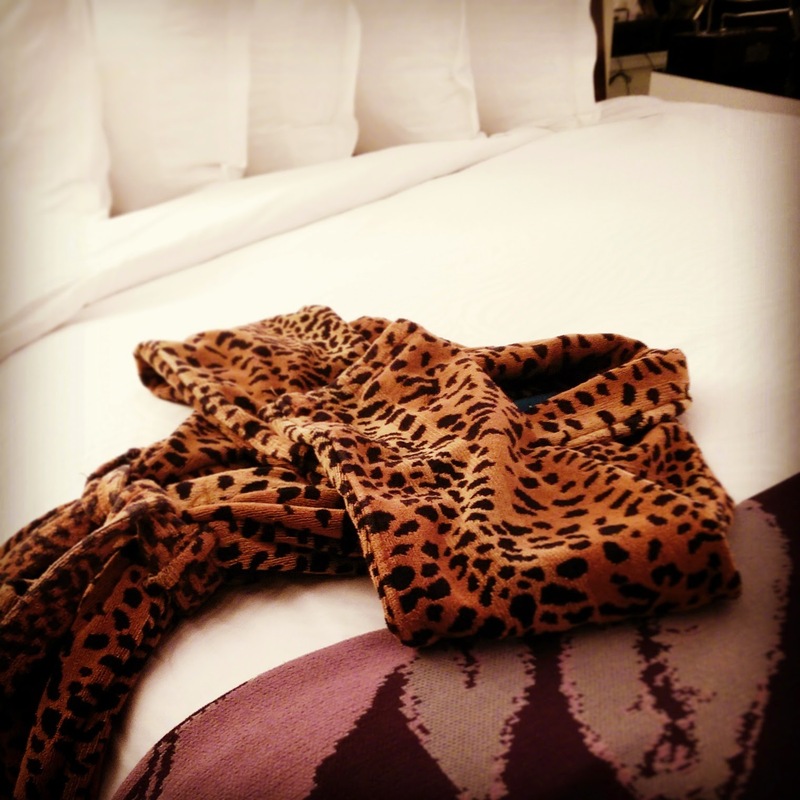 How many nights to get Leopard Print status? So we’re four weeks into the new year and 30-50% of us have already ditched our New Year’s resolutions, but we still have time to get our 2018 travel status lined up. Over the holiday break, I bought a non-smart carry-on to replace my now-banned Bluesmart; I walk through my shopping criteria. All this and more at the direct link to the podcast file or listening to it right here by clicking on the arrow below. Thanks to TravelPerk for sponsoring this episode. Coming to you again from the TravelCommons studios outside of Chicago, IL. This episode is sponsored by TravelPerk, the #1 rated business travel tool on the Internet. It’s been a light travel month, just a drive down to Nashville, and a couple of trips over to Charlottesville, VA, which has been a nice break from what is otherwise turning out to be a brutally cold winter in Chicago. The day after New Years, I walked out of the house into a -10℉ morning — not windchill, it was -10℉ ambient. Welcome to January. I had my team travel here last week for a 2018 kick-off meeting. No one accused us of boon-doggling. The guy from Phoenix did say he was filing an employee abuse claim though. I’ve found myself drinking less craft beer and much more Scotch whisky in this month; -10℉ is definitely brown liquor weather. Luckily, my daughter brought home a nice bottle of 18-year-old Glen Scotia from Edinburgh for Christmas. I’ve made a sizable dent in it. On my first trip to Charlottesville, after being off the road for four weeks, it took me forever to gather up all the bits of my regular travel carry from around the house. Normally, my travel carry stays in my backpack and my suitcase; I buy duplicates of things like hair brushes and headphones just so I don’t need to pull them out of my bag. But for some reason, all discipline broke down over the holidays and my carefully curated travel carry was spread/spewed throughout the house. Luckily, my ride to ORD was 5 minutes late. I took my Bluesmart bag, squeezed in one last trip before American’s January 15th smart luggage ban took effect. I tweeted a picture of my Bluesmart before boarding. American replied “We’re glad you’re flying with us and appreciate your cooperation with our team.” My response — “Not that I have much of a choice…” Especially with IATA recommending the ban to its 300 airline members. My new non-smart Victorinox bag arrived on my front porch before the ban clicked in, so once I shift everything from the Bluesmart to the Victorinox, I’ll power down the Bluesmart, delete its app from my iPhone, and consign it to the corner of the attic with all my other retired bags — my own Land of Misfit Bags. Starting off the New Year, I did a blog post summarizing some of the high and low points that we talked about in 2017. The high points? Things like Uber and Lyft driver stories, yet more craft beer taprooms, and Hertz’s President Circle Aisle. Low points? Airlines dragging passengers from planes, everybody lobbying for 5-star reviews, and, no surprise, the smart luggage ban. Have had our Away luggage for only about six months prior to the battery ban. I really like the ‘smart’ charging feature. Luckily the Away battery is a nicely designed self-contained and easily removable unit (two screws; screwdriver included!) Now the battery lives in my backpack, and the luggage still usable. Allan’s psychic capabilities are showing. I think Away is the only major smart bag that meets the airlines’ requirement for a removable battery. But for me, charging wasn’t the major use case for me. I’m typically fine with my Anker lipstick charger. And if I forget to recharge that, my Verizon mobile WiFi hotspot also doubles as a charger. For me, the GPS tracking was the main use case — for those times I had to check my bag, it was nice to know that it had also made it to my destination — a use case that requires power. Pull out the battery and no more tracking. Oh well, it was fun while it lasted. Jim, I dunno. Looking at your Twitter profile picture, you look like you could land in my generation. I apologize for using a card for anything under $20. Although I have to say that more and more microbrewery taprooms only take credit cards. I don’t apologize there; or at the self-service tills in Home Depot or Tesco’s — mostly because there’s no one to apologize to even though they will take cash. Hey Mark! Thanks for tagging us in your article. I’m glad to hear that one of our ‘Geordie’ colleagues was able to help you redeem some of your Avios. It’s a shame you didn’t catch her name though. Absolutely it was a shame. She deserves huge props. In that same riff, I mentioned how my email to Iberia to clean up my name on my Iberia Plus account — which might have been the root cause of my point transfer problem — seemed to have fallen into a black hole. Well, apparently it didn’t. Soon after that episode, I got a letter from Iberia with a new card that had my correct name. That was nice. Would’ve been just a bit nicer if they’d hit the Reply button while handling the email and typed, I dunno, just 8 words — “Got it fixed; new card in the mail” But it got done — all of it, Avios points, non-stop ORD-MAD flight on points, and now, a card with my correct name. And that Iberia letter was probably one of the last surprises I got when I open the mailbox at home. Somehow, I’m not quite sure how, I signed up for a US Post Office service that sends me an email every morning with scanned images of letters I’m going to receive that day. When I got that first email, I was kinda “What the hell?”, but now I kinda like it, especially when I’m on the road. No more wondering what bills showed up, or during the holidays, who had sent us Christmas cards. It does kinda take the surprise out of opening the mailbox — though not that there was much left since 90% of our physical mail is junk — but it is kinda entertaining. Back in August, in episode #132 about the travel apps I have loaded on my phone, I talked about using the paid or “Pro” version of TripIt, and about how it was on the bubble for me because of how the airlines have improved the flight status notifications in their own apps. In 4 months since then, the airline apps have pretty consistently notified me of gate changes and delays faster than TripIt Pro. And so when my subscription ran out a few weeks ago, I ignored the renewal alerts. I’ll still use the free version — I like the way TripIt consolidates separate plane, hotel, and rental car reservations into a single trip — kinda replicating the itineraries your travel agent used to give you when they booked your entire trip. But paying $50 for what are now slower, redundant flight alerts? I’ll spend it on beer or brown liquor instead. Back in the November episode, I talked about American’s last-minute cancellation of my night flight to Charlottesville and my ensuing scramble to find a replacement flight and to make sure the Hyatt Place didn’t flush my reservation. But if I’d booked with TravelPerk, they would’ve done the scrambling for me. This all-in-one business travel management tool includes a team of highly qualified agents ready to rescue disgruntled travelers from any scenario 24/7. It’s because of making magic happen in times like this that TravelPerk is now the #1 rated business travel tool on the internet. You’ll love them because you can finally take control of your travel schedule, have freedom to book alternative accommodation like Airbnb, and have a built-in rescue team when stuff goes south. Remove some stress from the equation, go to go.travelperk.com/travelcommons for a no-commitment test drive. So here we are, 4 weeks into the new year and anywhere from a third to a half of us have already ditched our New Year’s resolutions and are now in full anticipation of Super Bowl queso dip. But while your dry January may have been washed out early, you still have time to get your 2018 travel perks in place. Almost all travel perks come from status in loyalty programs and all those status earning counts reset on Jan 1, so the first step is to match up what you think your 2018 travel plans will be to your loyalty programs. Any gaps? If you think you’ll start flying to Seattle (maybe helping to shill your hometown for Amazon’s HQ2), you’ll probably want to sign up for Alaskan Airlines Mileage Plan, where before, it might not have been worth the extra junk mail. Or if you’re already a member, do a status match. When I took a new CIO job some years back, all the hotels near our offices were Hilton brands. I had a Hilton’s Honors card but just in basic blue as opposed to my top-of-the-line sparkly platinum Marriott card. After I hit the “reset my password” link on the Hilton website, I went straight to their status match page. Right at the top, it says “For the next 90 days,… we’ll match your elite status with any other loyalty program.” If you complete 4 or 8 stays over those 90 days, the match is good for the year. So rather than having to grind my way to Hilton status, I started enjoying it on Day 1. I had a friend do that with American — parlay his United 1K status to Executive Platinum when he moved from Denver to Dallas. Much better than slumming in Boarding Group 5 until you clear the first status bar. Doing this, you also need to keep in mind the different ecosystems; the partnerships that tie travel companies together. It used to be just the international alliances — Star, SkyTeam, OneWorld. When I knew I’d be traveling down to South Africa, racking up some serious business class mileage, I had two real options — SAA out of JFK and IAD, or DL out of ATL. Living in Chicago, I chose SAA because they’re part of Star Alliance with United, and I’d get a lot more use from United status out of Chicago than I would Delta. And it’s getting even more combinatorial now with United and Marriott are status matching each other. And then there’s the credit cards — both affinity (United and Chase Visa, American and Citi MasterCard) and non (Amex Platinum, Chase Sapphire Reserve). You gotta do the math. For example, Amex’s Platinum card is $550/year. But with that, you get Membership Rewards points that transfer to airlines and hotels, access to Delta lounges and Amex’s Centurion Lounges, which if you travel frequently to DFW, LAS, MIA, LGA, and now JFK, is great. They’re much better than, say American’s Admirals Clubs. I wish they had one in Chicago. Amex also picks up the $100 Global Entry or $85 PreCheck fee, gives you 10 GoGo WiFi sessions, $200 in Uber credit, and some other benefits. If you’ll use these benefits, that $550 can be a better deal than, say, the $95 that the United Chase will cost you. However, that United Chase will get you baggage fee waiver, two United Club passes, and status boarding. If you don’t travel a huge amount and live in a United hub like Houston, the United card could be a better deal. But you gotta think about your travel, do the math, and sign up for it now so you have all year to maximize the status benefits. And while you’re in this planning zone, do yourself a big favor sign up and make an appointment for Global Entry if you do international travel, or PreCheck if you’re mostly a domestic flyer. If it makes sense for you to get an Amex Platinum or Chase Sapphire Reserve card, it’ll be free. To me, TSA and Customs lines are still the worst part of travel. While you’re figuring out how to bump your status up your status on airlines and hotels, do yourself a favor and step out of those TSA and Customs lines too. OK, perhaps a bit presumptuous of a title; perhaps it’s “How I shopped for a suitcase.” But before we go there, let’s summarize the set up from past episodes — my 10-year old black Swiss Army carry-on rendered itself unusable before Thanksgiving when the handle became stuck in the extended position (luckily as I was getting in a car coming home from ORD and not while trying to stow it in an overhead while boarding), I hate shopping for suitcases so I recharge my Bluesmart smart bag and put it back into service in December only to have it banned from air travel as of last week. So now I’m forced to shop for a suitcase. Like any good consultant, I, of course, construct a prioritized list of evaluation criteria. First, it has to be a carry-on. Now that may seem a bit of a “duh”, but there is some ambiguity; the approved height varies by airline between 19 and 22-inches. If I wanted to play it safe, I’d go for a 20-inch bag, but I’m also want to maximize how much I can carry-on. I tilt toward choosing space. Most US carriers accept a 22-inch bag and that’s mostly what I fly, and even when I’m on European carriers I usually have enough alliance status (my American Platinum status carrying over to OneWorld) to glide past the baggage sizer. Which leads to the second criterion — it needs to be black. As I said in my Ruthless Packing Tips post in October, black not only makes you look thinner, it makes your bag look thinner to gate agents scanning for bag-sizer bait. Third, 2 wheels, not 4. This is a bit more of a personal preference. My Bluesmart is a 4-wheel spinner and my wife swears by hers, but because the 4 wheels have to extend from the bottom of the bag, spinners sacrifice packing space for agility, while 2-wheelers can embed their wheels up in the backplane of the bag. Again trying to maximize packing space, I go for the 2-wheeler, and with the biggest wheels I can find to make it an easier, smoother pull. I was kinda surprised how this limited my selection. Spinners definitely rule. My fourth criterion — I wanted the inside of the suitcase to be as plain and empty as possible. No bunch of zip compartments, or built-in suit hangers, or ratcheting down clothes dividers; just a wide open box that free to structure how I want for each trip. I was surprised how tough this was to find. Indeed, in the end, I couldn’t find it and settled for a bag where I could detach the suit hanger and clothes divider and stash that stuff up in the Land of Misfit Bags next to the Bluesmart. Whittling through all that, I ended up buying a black Victorinox Werks Traveler 5.0 2-wheeler. Victorinox is what used to be Swiss Army; I figured if my last bag survived 10 years of hard mileage, that said something for durability. It was also one of the few where I could detach all the internal storage stuff. And it has that additional zipper to expand the width by an inch — kinda like when you drop a notch on your belt after Thanksgiving or Christmas dinner; for those times when I’m flying home and have bought a few too many bottles of wine or brown liquor. I replaced my luggage with the exact same bag as I had before, a TravelPro. It was an easy choice, I like you, wanted a simple bag. I knew my gear would fit, I already knew what to put in the outside pockets. One of the guys I work with recently bought and then returned a 4-wheel spinner. The reason for the return……. he discovered that most hotel parking lots weren’t level and each time he let go of the bag to raise the trunk lid his bag rolled away. It makes sense. Had that same problem with my Bluesmart 4-wheeler, except in airports rather than parking lots. I’d put the Bluesmart against the wall in a restroom and it would wander away.